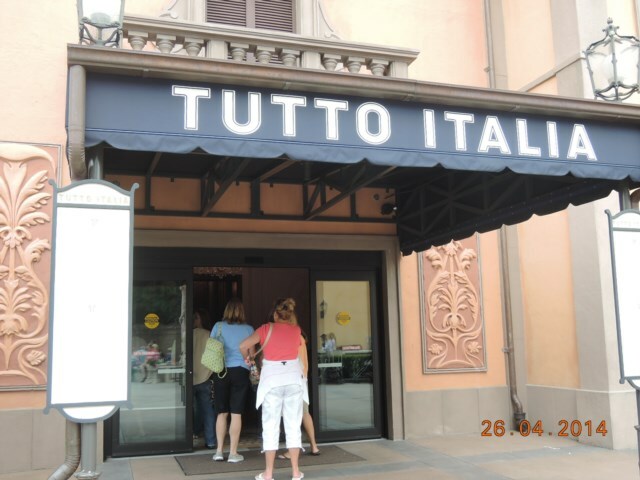 Our girls love this restaurant in Italy at Epcot; we eat quite a lot of Italian food at home and find this a really authentic place to eat. We had made a reservation for lunch so we had a very light breakfast at the villa followed by a swim in the pool before going to Epcot. 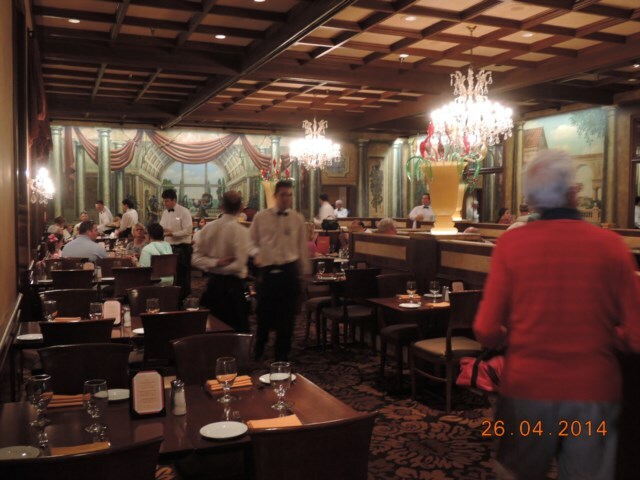 We arrived for our reservation on time and were seated straight away. 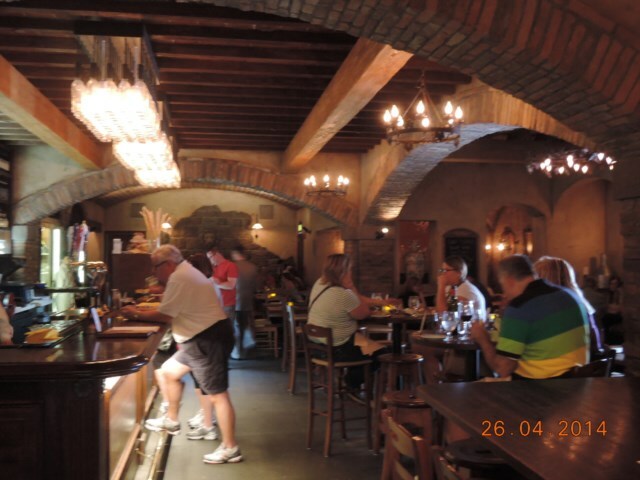 The restaurant was busy and a little noisy but this is to be expected at busy times at Disney. 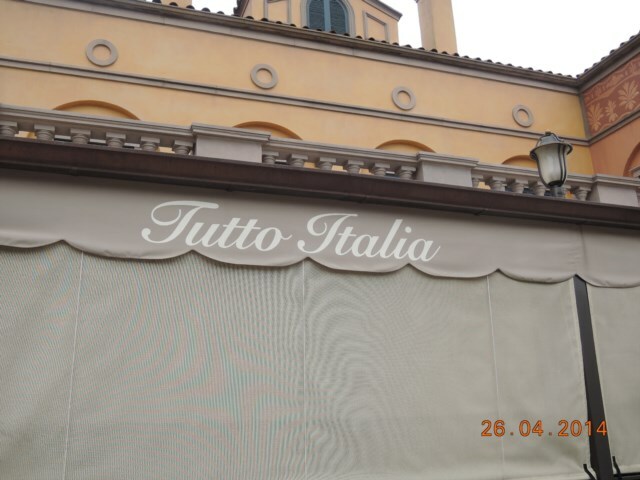 It is always a good idea to make advance reservations for Disney restaurants however friends of ours were at Epcot one day when the park was quite and managed to walk in to Tutto Italia and get a table straight away. 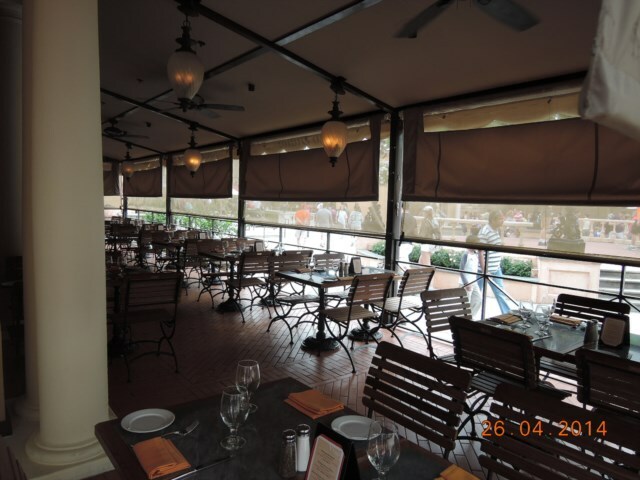 I think most Disney restaurants are quieter at lunch time than at dinner time. Before the meal we had ' assaggini' which consisted of several types of bread, dips and spreads. There was a cheese, basil based spread that was amazingly hard to stop nibbling on. This was really great and we had to force ourselves to stop eating it all to make room for our appetizers. I was a bit worried about the lunch menu because I was afraid it was limited, I need not have worried as everyone enjoyed it. For my appetizer, I ordered the fresh mozzarella with vine ripened tomatoes, basil and olive oil which was a huge portion; this was great and very Italian. My parents and the younger girl enjoyed prosciutto di parma ham with thin slices of seasonal melon, Mother said the parma ham was not too salty and was amongst the best she had tasted. The older girl was not as hungry as the rest of us and initially just had mozzarella sticks which came on a plate covered in sauce. For entrees both the girls had spaghetti and meatballs whilst my parents ordered rataniti which was pasta with panchetta and peas in a creamy cheese sauce baked in a crock, they said it was too die for. I had trofie which was igurian pasta with pine-nut basil pesto and fagiolini green beans. It is not often you see this on a menu at home and I thoroughly enjoyed it. My Father declined a dessert as he had had a lovely meal and did not want to spoil it. Mother and I managed a lemon sorbet, which was perfect after a filling meal. However the girls each wanted a bugie which was a Tutto Italia signature crisp pastry with chocolate and apricot sauces, they shared one between the two of the them. 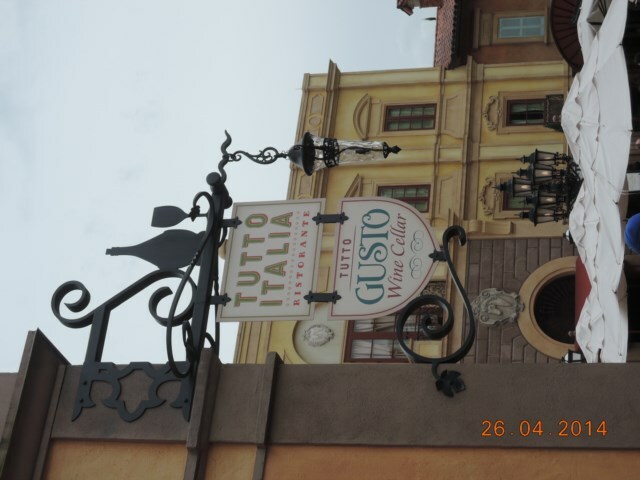 We will go back to Tutto Italia it was a good meal. Viewed 4021 times since 26 September 2008.